Look Who's Moving Up in the World! If you follow me on Facebook you know that I have some exciting news to announce! No, I'm not pregnant... sorry y'all! Anyways, as a blogger and a passionate writer I always love a good opportunity and I put all my effort into being chosen for them. This seems to be the year of possibilities for me. A couple of weeks ago I came across an opportunity staring me in the face... the local City Moms Blog I follow, Oklahoma City Moms Blog, was searching for a couple of new contributors for their blog. I immediately contacted them, followed their application process and crossed my fingers. I hoped I stood a good chance but I'm not one to get prematurely excited about things. In fact, I'm probably the most realistic person you'll meet. I didn't tell anyone other than my husband that I applied for it because there was no need to share no news. Several days went by and I hadn't heard anything so I sent them an email just to check in. I figured no email by then meant I wasn't chosen. Well, they quickly responded letting me know that they would announce the chosen contributors soon as they had more applicants than expected. They ended up having 3 dozen local women apply! How awesome is that? Except that meant my chances of being chosen were lessened. There are so many talented women out there so I knew the competition was going to be tough. Well, much to my surprise I received an email last night asking me to be a contributor! This is big time news y'all! This is a wonderful group of local writers who have a variety of opinions, thoughts, ideas and unending talent. Who could pass up an amazing opportunity to collaborate and network with such lovely ladies and the community of local moms they reach? So of course I said YES! I am so excited and honored to be apart of the group and I look forward to sharing my experiences with you all as well. I hope you'll share in this excitement with me and keep an eye out for my posts there as well as here! This means nothing less here, I promise. I'll still be here but I'll be there as well. You know you can't get enough of my writing, so head on over and 'like' the Facebook page & follow on Twitter and Instagram! 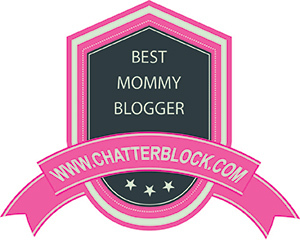 Posted on February 24, 2015 by Hayley Clyburn and filed under Motherhood, Marriage, Twins and tagged opportunities City Moms Blog Oklahoma Writers Bloggers Mamas. This is a sponsored post written by me on behalf of Minted and is 100% my own opinion. Minted has not influenced, nor reviewed this post prior to it going live. I feel like I'm continuously on the search for the perfect invitation or announcement for special occasions. Of course all that started when my husband I got engaged in 2008. We set our wedding date for summer of 2010 to allow for adequate planning and savings. The search was on for the perfect save the date card. It was much more difficult than I could have imagined trying to find THE card. Then came the wedding invitations and that was even more challenging. I'm quite picky... I wanted a unique and classy card with a touch of whim but didn't want to spend a fortune. I finally found both. Not my favorite but they worked. Our wedding was really my first taste at event planning. Since then, I've thrown many baby and wedding showers and now I'm getting to plan the funnest of all... birthday parties! All birthday party planning is fun but it's even more fun with b/g twins. Why? Because I get the privilege of using my creativity to combine things each of them like all while somehow making it cohesive. But, that leads to yet another challenge... choosing invitations that combine their personalities without being too generic. I'm that crazy mom who starts planning my little one's birthday party 6 months or more ahead of time and I decided several months ago that their 2nd birthday theme will be "Pretty Pretty Tutu, Chugga Chugga Choo Choo, Andley & Silas are turning Two!" I am beyond excited to see it all come together. 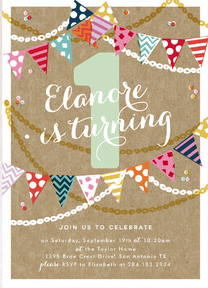 I have been on the search for an invitation that fit both b/g, it doesn't have to have trains or tutu's on it, just something I can add wording to that represents a fun party. Well, I looked at many different stationary and invitation sites when I found Minted. I am so impressed with their unique selection of invitations and announcements for all occasions! I'm having a hard time deciding which one I want to purchase for the birthday invitation but I've limited it down to two. Both of which I love. Not only are they exceptionally creative but their options are endless, they have a variety of color schemes, paper types, edge styles and their personalization options are endless. Now where were they when I was planning our wedding? If you happen to be planning a wedding, be sure to check out their newest collection of expressive save the date cards. Holy cow, their effort to show a couples personality and stay classy is spot on! I would have loved to have had a selection this great to choose from. Minted not only offers a great selection of stationary, invitations and announcements but they also offer artwork, home decor, fabric, as well as an awesome design challenge for artists! How cool is that!?! And check out their custom photo art for the little one's, these adorable creations would make the perfect addition to a nursery or bedroom, as well as a sentimental and affordable gift for a baby shower or birthday party! All of that in one location, the possibilities are endless I tell ya! I can't wait to share which birthday invitations we choose. Posted on January 7, 2015 by Hayley Clyburn and filed under Product Reviews, Holidays & Parties, Home Decor/Crafts, Marriage and tagged invitations birthday wedding save the date ad custom photo art fabric art home decor sponsored minted. Welcome to Yours Twincerely! Over the next several weeks, I plan to somewhat "catch up" on blogging and share my pregnancy, birth and the 7 months leading up to now with you. In the mean time, be sure to head over here and let me introduce myself. Posted on October 6, 2013 by Hayley Clyburn and filed under Twins, Motherhood, Marriage, Pregnancy, Holidays & Parties.